In Case You Missed It: Fashion at The State of the Nation Address. The annual South African State Of The Nation Address #SONA red carpet is the most significant event in the country’s calendar for obvious reasons, this past week President Cyril Ramaphosa delivered his speech in Cape Town and the honorable members of parliament showed up dressed to the nines. 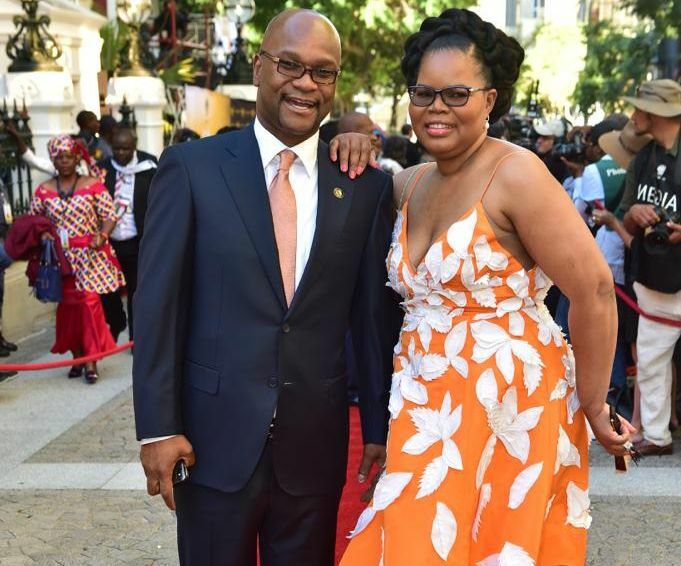 Orange was the order of the day for Minister Nathi Mthethwa and his gorgeous wife Philisiwe. We spotted ANC MEC Vatiswa Bam-Mugwanya all dressed up in a traditional Xhosa design. Minister of Police Bheki Cele looked dapper in a well-tailored black suit.